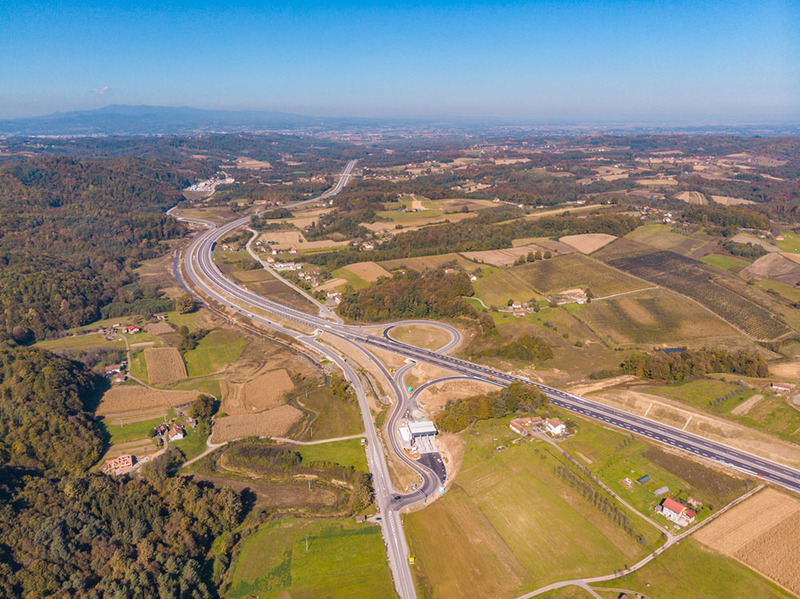 DESIGN AND CONSTRUCTION OF BANJA LUKA – DOBOJ MOTORWAY, SECTION BANJA LUKA – PRNJAVOR IS FINISHED | INTEGRAL INŽENJERING a.d.
On September 30, 2018, Integral inženjering together with its partners successfully finished works on design and construction of Banja Luka – Prnjavor Motorway (subsection Drugovići – Prnjavor) with which the whole construction of Banja Luka – Doboj Motorway was finished. 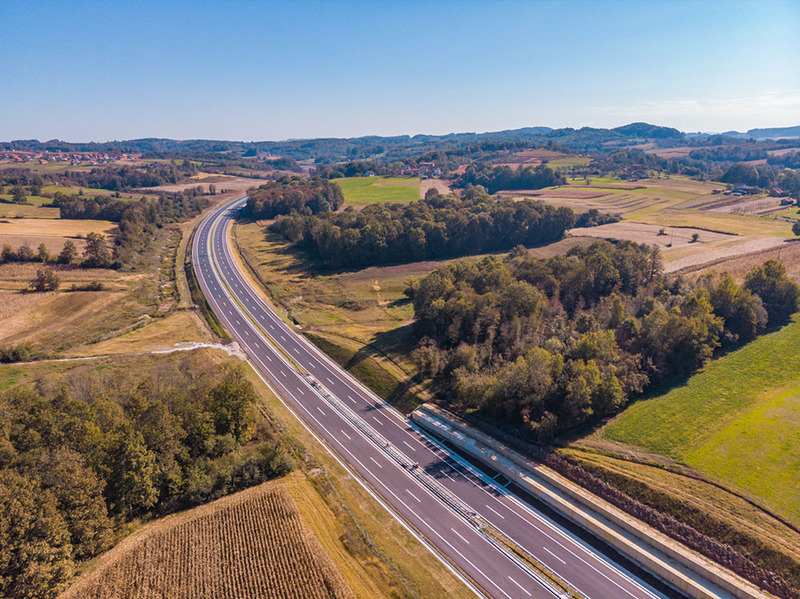 Banja Luka – Doboj Motorway connects already constructed Gradiška – Banja Luka Motorway (E 661) with future motorway on Corridor 5c. 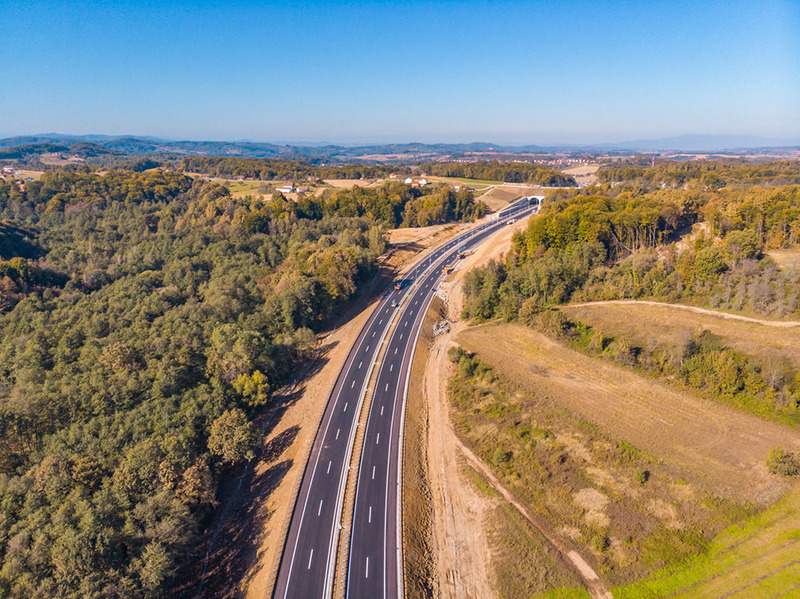 The name of Banja Luka – Doboj Motorway is “The 9th of January“, symbolically expressing its great infrastructure integration potential in the Republika Srpska. 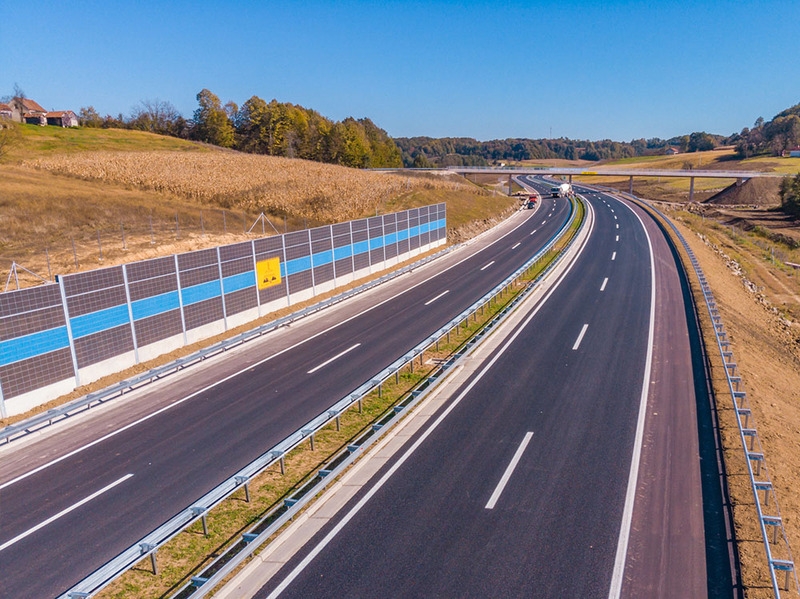 The section of motorway between Prnjavor and Doboj in length of 36.6 km was opened for traffic on September 11, 2016, while the subsection from Mahovljani intersection to the villagae Drugovići in length of 10 km was opened for traffic on October 01, 2017. 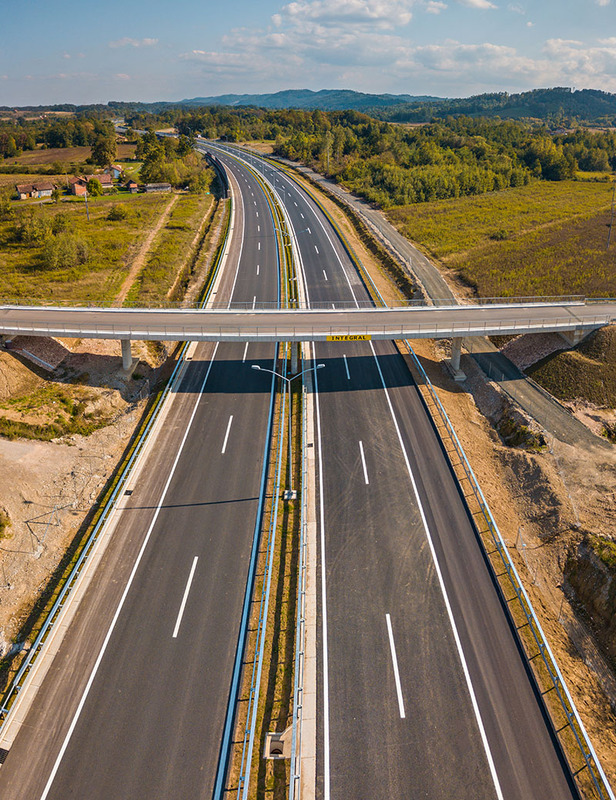 “Integral Inženjering“ a.d. (PLC) made all competent, technical and material efforts and successfully completed complex works of design and construction of pavement structure, road structures and technical subsystems. 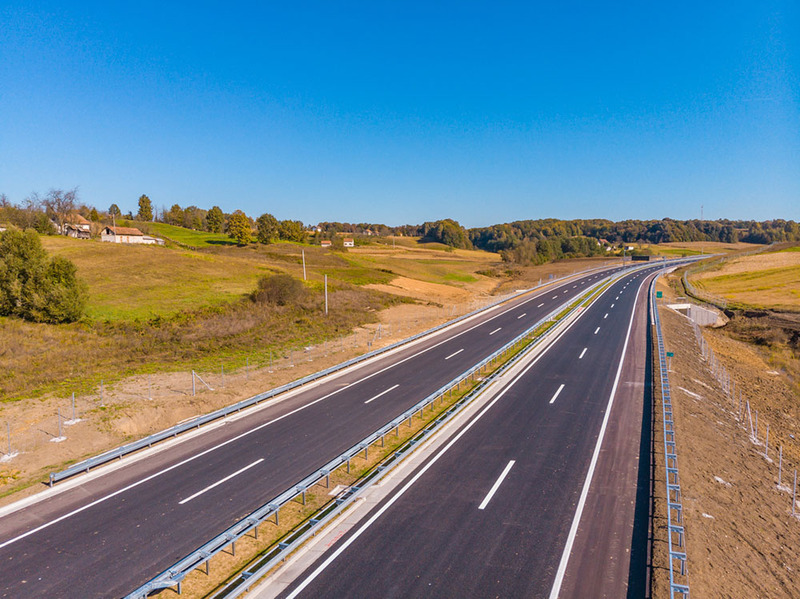 The various modern technological solutions with using of top modern mechanization were used during work execution. 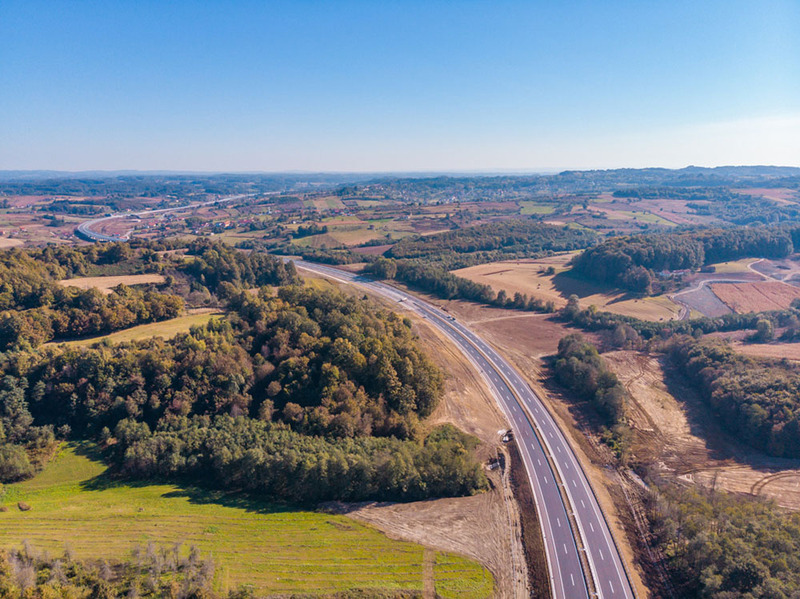 Design and construction of full profile motorway section (l=35.300 m) with all road structures including two motorway interchanges with toll plazas, as well as Traffic Control and Maintenance Centre. 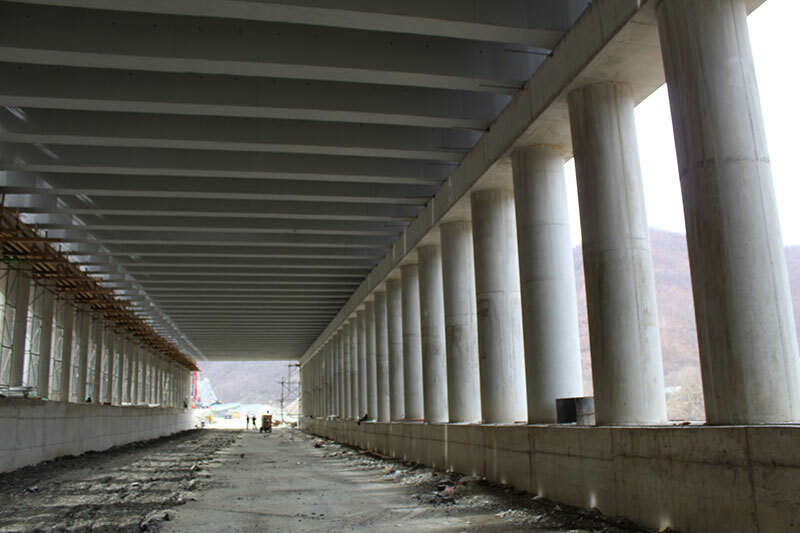 Project includes construction of local and service roads in the total length of l=12,157.52 m, execution of geomechanical works, works on relocation of electrical installations, works on power supply installations of the toll plazas, works on rest and service area and tunnel, works on lighting of interchange, works on placing of traffic signalization and equipment and noise protection. 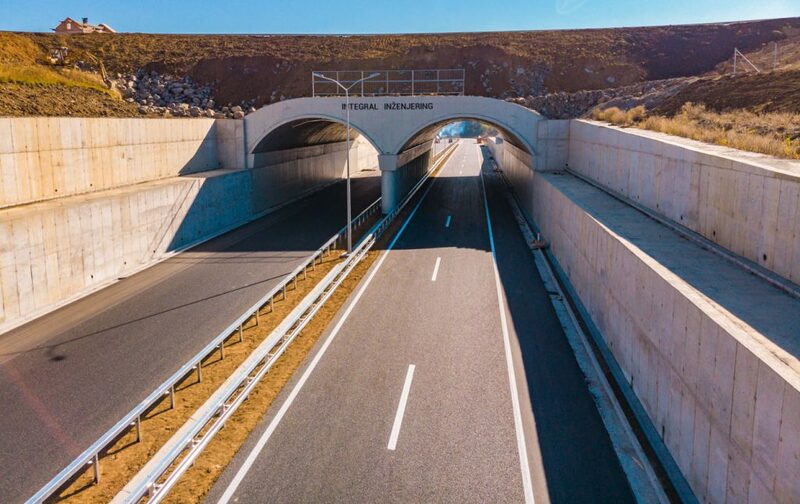 It was necessary to design a large number of engineering structures such as bridges, structures for slope protection and one artificial tunnel due to the complex hydrological and topographic conditions. 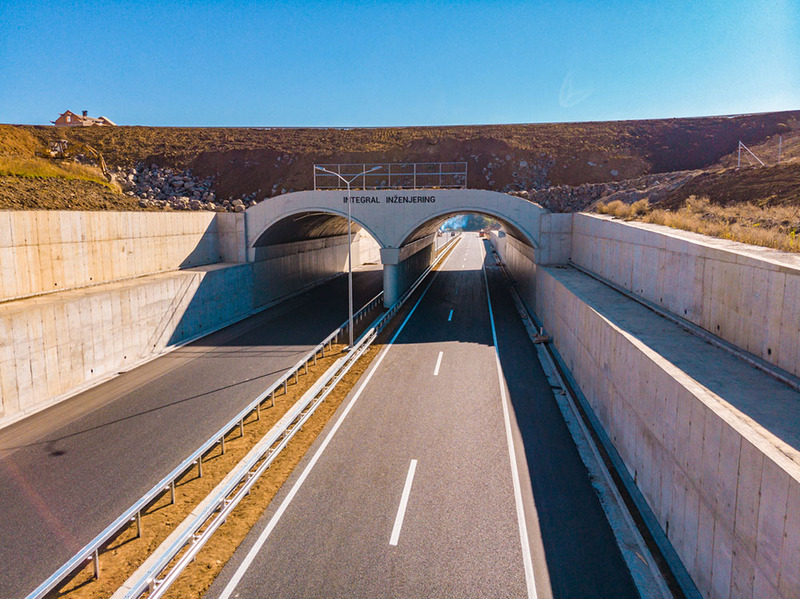 “Potočani“ artificial tunnel (l=55.00 m) is constructed as covered gallery (“cut and cover“ gallery) with three lines of support made of drilled anchors. 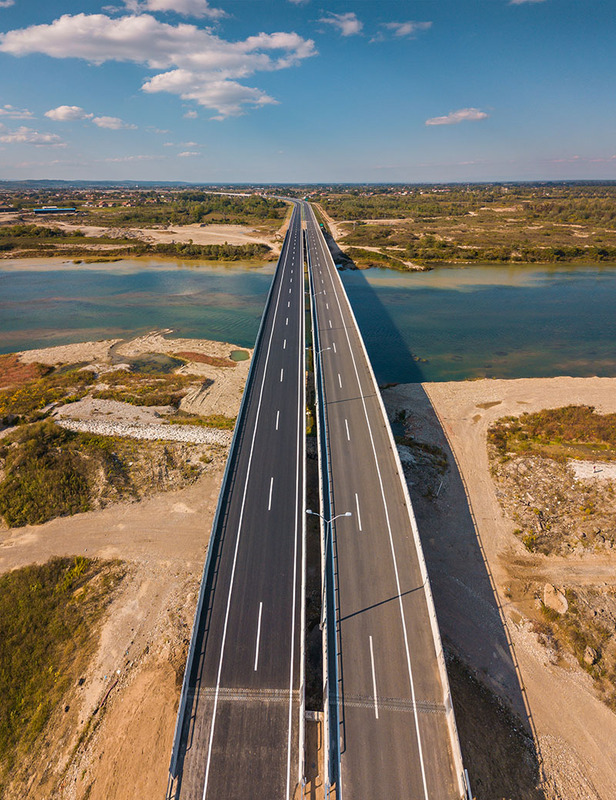 – “Drugovići“ Paying Toll (P=512.81 m2). 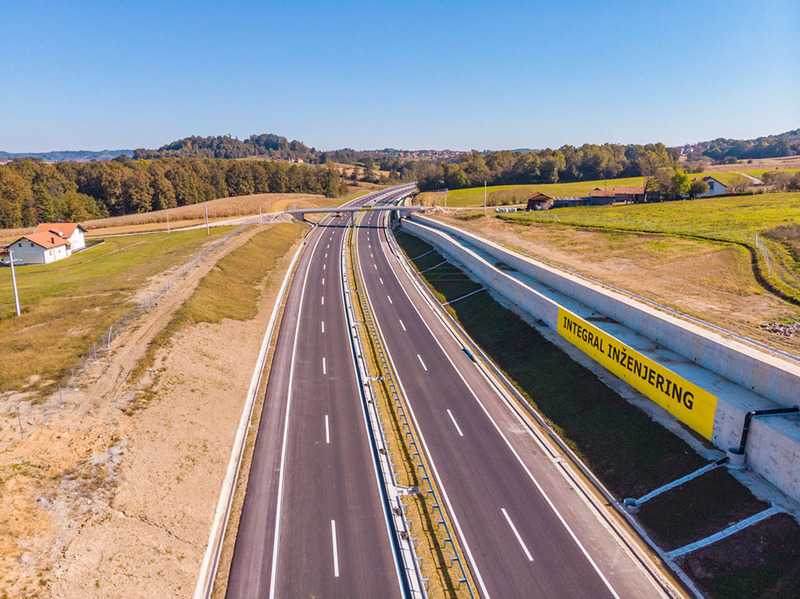 The stock company Integral Inženjering (Integral Inženjering PLC) from Laktaši is founded in 1989. 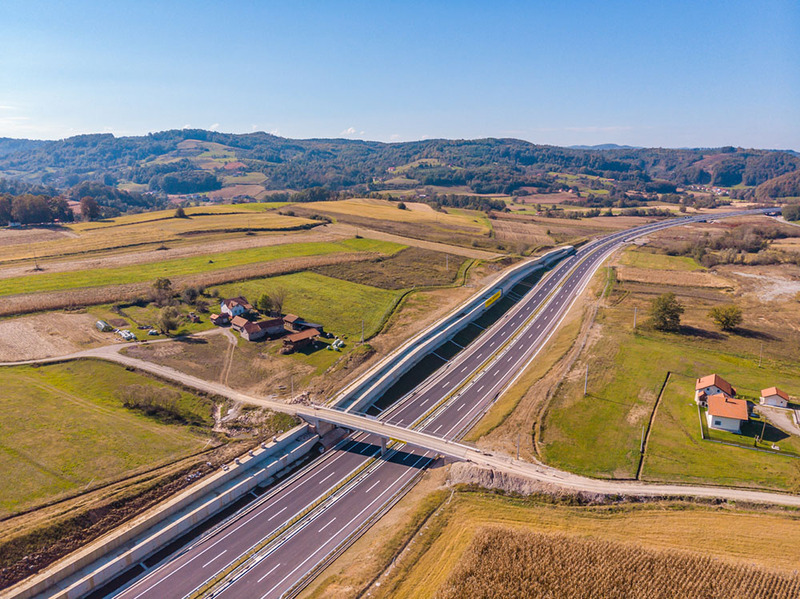 Integral Inženjering is a regional leader in the field of civil and water engineering in which the company has successfully worked for years constructing remarkable structures of vital social and economic interests. 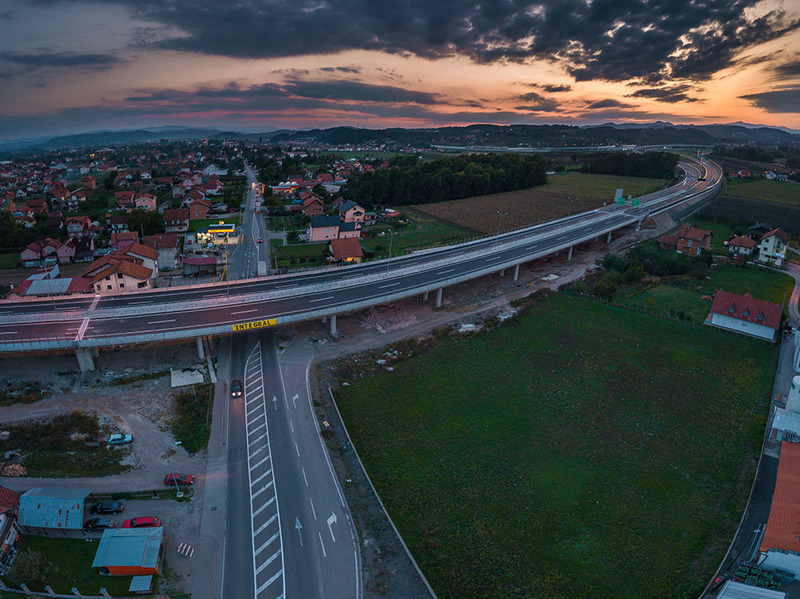 Copyright © 2017 Integral inženjering a.d.